All Scottsville homes currently listed for sale in Scottsville as of 04/25/2019 are shown below. You can change the search criteria at any time by pressing the 'Change Search' button below. If you have any questions or you would like more information about any Scottsville homes for sale or other Scottsville real estate, please contact us and one of our knowledgeable Scottsville REALTORS® would be pleased to assist you. 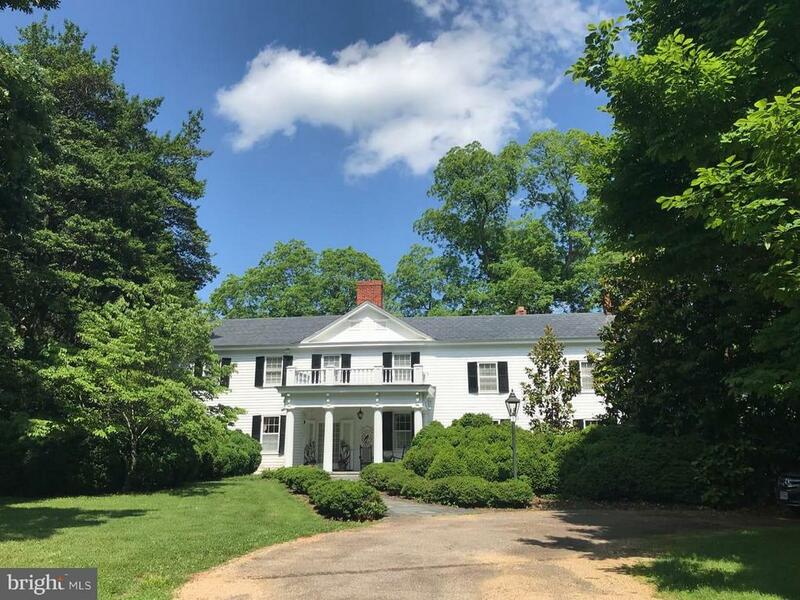 "Beautifully constructed circa 1808 manor home built on a lovely knoll surrounded by stately mature trees and 423~ acres of rolling Virginia countryside. 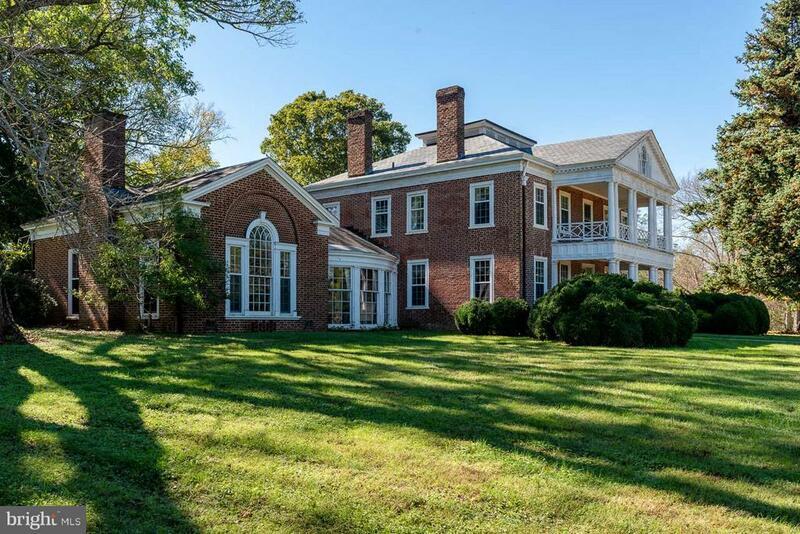 The attractive and architecturally significant 8,500~ sf brick main residence has been expanded with a complementary addition by well known architect Floyd Johnson and contains stately rooms, tall ceilings & numerous fireplaces." "Chester c. 1847, named after the birthplace of builder Joseph Wright who was the source of the exceptional surviving landscape that includes 170 year old English boxwoods & specimen trees. Additions to the home were made thru the 1930~s & this is now a residence of uncommon charm. It is clad in heart pine siding capped with a Buckingham slate roof with an interior of mellowed woods." "Now priced $45k under appraisal value! 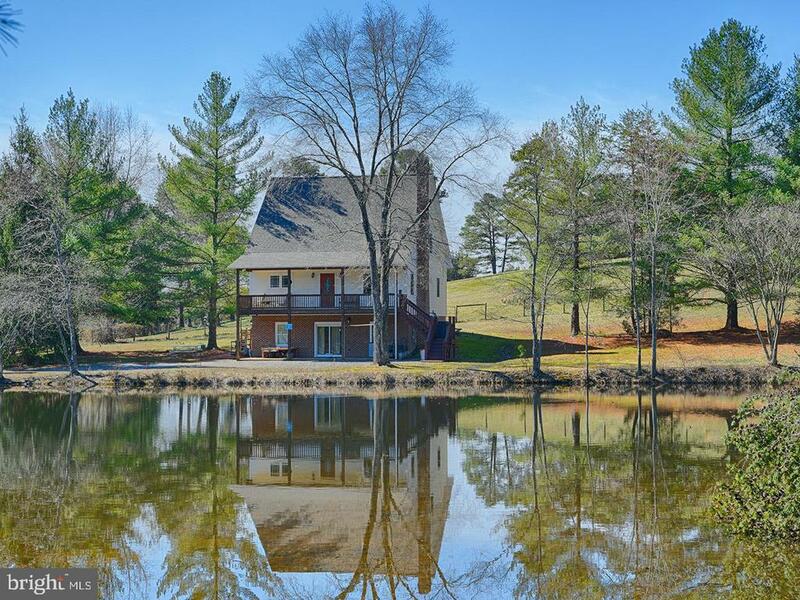 10+ acres with stocked pond, 3 bedroom & 3 bath home, detached garage with separate 540 finished sqft garage apt. with full bath. Home is equipped with a Geothermal Heat Pump, Dual Zoned with 10 Return Grills for optimal temperature control. Home is wired for a whole house generator and speakers. Other highlights include the gourmet kitchen, FL Room with pool & hot tub combination, a sauna system, built in office space, a central vacuum system, and many more! Master suite offers a bonus room with outside and FL Room access. Don't miss the roll in shower equipped with a built in seat, heat lamps, and 6 shower heads! Stop reading and come check it out for yourself!! List of features within photos." "Looking for a retreat from your hectic life? Peaceful Acres offers the tranquility you are seeking! Enjoy evenings on the deck overlooking your private pond as the sun sets and the blue heron, geese & ducks retreat to their sanctuary. See the stars at night! Just you and nature. This lovely home with quality touches, such as hardwood floors & granite counter tops, offers flexibility with a terrace level apartment that can either be part of your living space or leased out. With 11 acres, the farm is partially fenced & can be utilized for horses, goats, sheep & chickens. There is also a large fenced area for a vegetable garden. 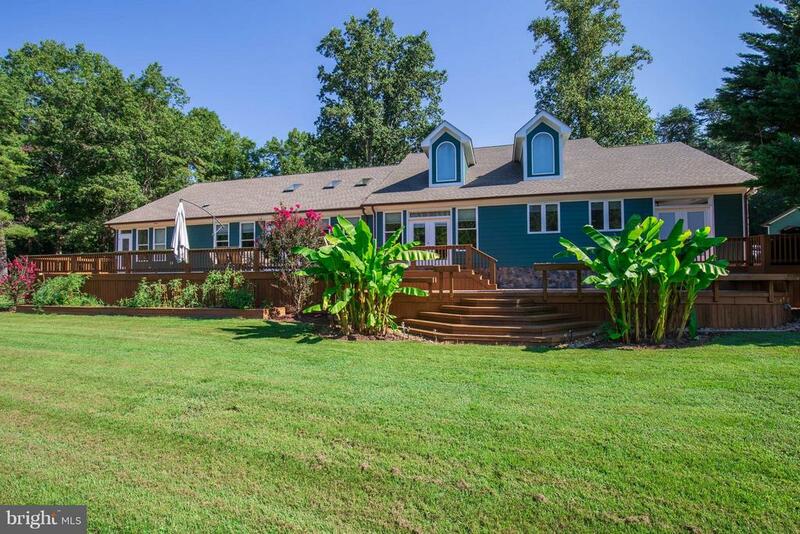 This is a wonderful country home with DSL and just 20 mins from Charlottesville."